Originally posted March 31, 2015. Revised and updated January 23, 2017. Are you searching for a tasty treat that’s healthy too? 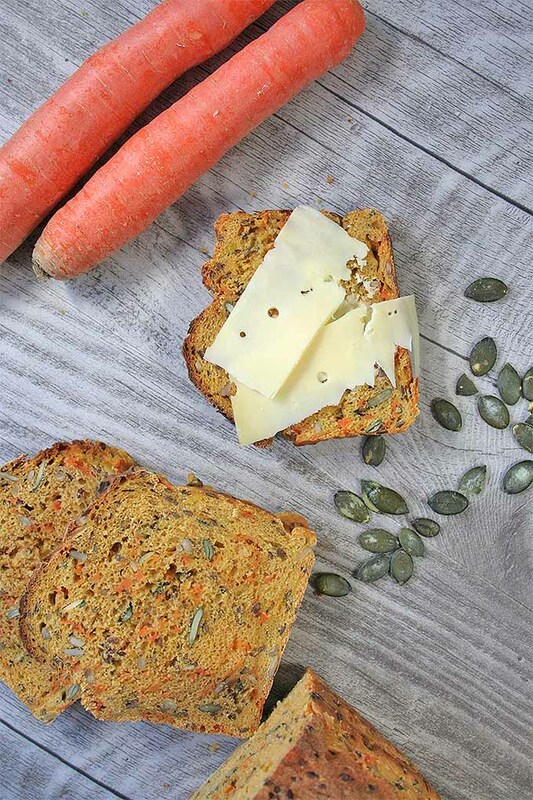 You’ve got to try this multigrain carrot bread recipe. 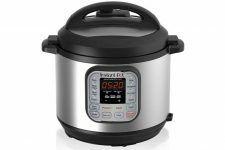 It’s full of nutritious seeds and fresh shredded carrots, which make it incredibly moist and healthy. 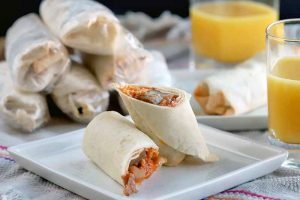 And it’s so versatile, you can serve it at any meal – with sweet spreads like honey and jam for breakfast, or something savory like ham, cheese, and tomato for lunch or a nice afternoon snack. This bread also makes an excellent homemade gift for the holidays. And it’s just as welcome on my Easter table as it is at Christmastime! This recipe makes two loaves – allowing you to keep one of them for yourself and give the other away. Thanks to the carrots, it has a wonderful vibrant color, and the seeds give it a rustic consistency with excellent texture. 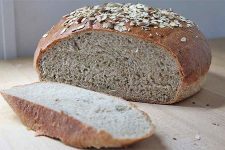 With the addition of flax, sunflower, and pumpkin seeds, this bread provides lots of healthy unsaturated fats and dietary fiber. The mixture of seeds combines important trace elements like magnesium, zinc, calcium, and iron, as well as B vitamins. Did you know the gelatinous components of the flax can have a positive effect on digestion? When ground or soaked in water, flax seeds become easier for your body to process, and their full potential is unlocked. 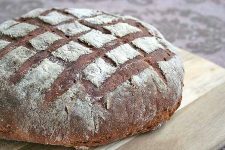 Its gelatinous texture also helps to bind batter together and provide structure in egg-free baked goods, such as this bread! A boost of beta carotene is provided by the carrots and pumpkin seeds. For even more nutritional benefits, try using our recipe for homemade sweet green carrot juice instead of the plain variety. 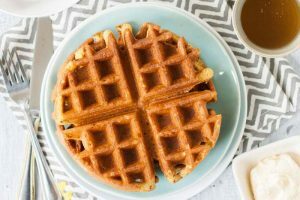 Save the pulp (there’s healthy fiber in there!) and add it to the batter along with your grated carrots. You can also substitute whole wheat flour for the all-purpose. 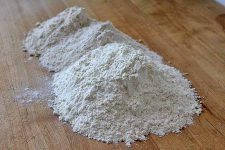 Just remember to add two tablespoons of water to the wet ingredients, and reduce the total amount of wheat flour added to the dough to 8 ounces. Alternatively, you could replace just half of the all-purpose flour with whole wheat. 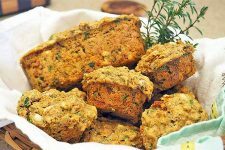 For added crunch and even more healthy minerals and fats, and a handful of chopped nuts to the dough at the same time as the carrots. Walnuts are my favorite choice for this. To make this recipe, you will need two 10-inch loaf pans. 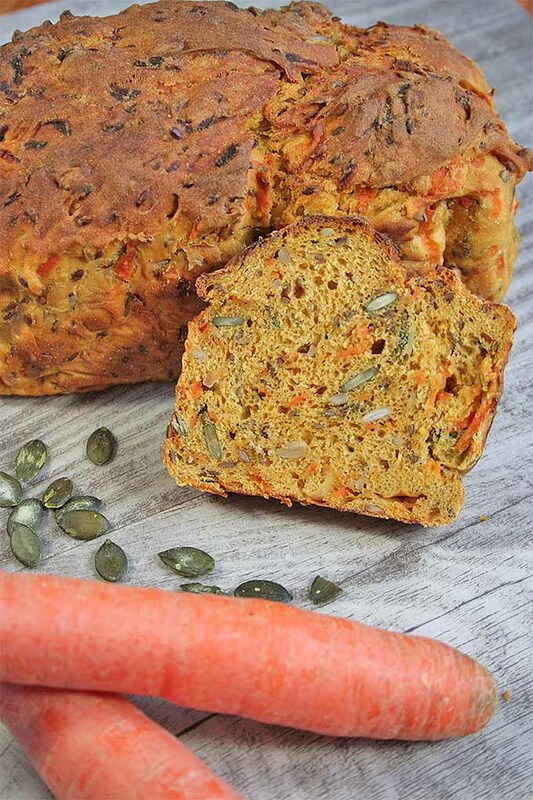 This moist and wholesome bread is perfect for everyday eating, and packed with nutrients from healthy seeds and fresh carrots. Get the recipe now on Foodal. 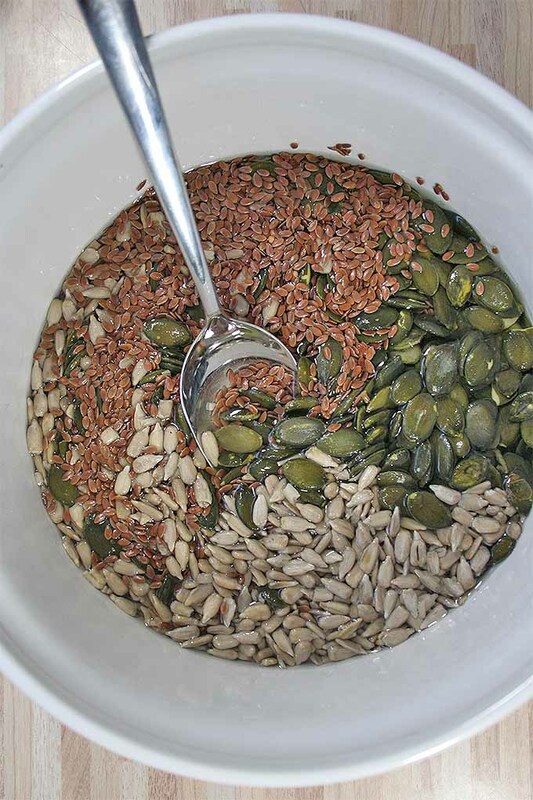 Heat the water and pour it over the seeds in a large mixing bowl. 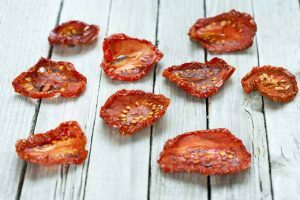 Set aside to for about 2 hours, until the seeds have completely absorbed the water. Meanwhile, peel and shred the carrots. Pour the carrot juice into a pot and bring to a boil with a pinch of salt, pepper, and the sugar. Add the grated carrots and return to a boil. Take off the stove and set aside for 2 hours. 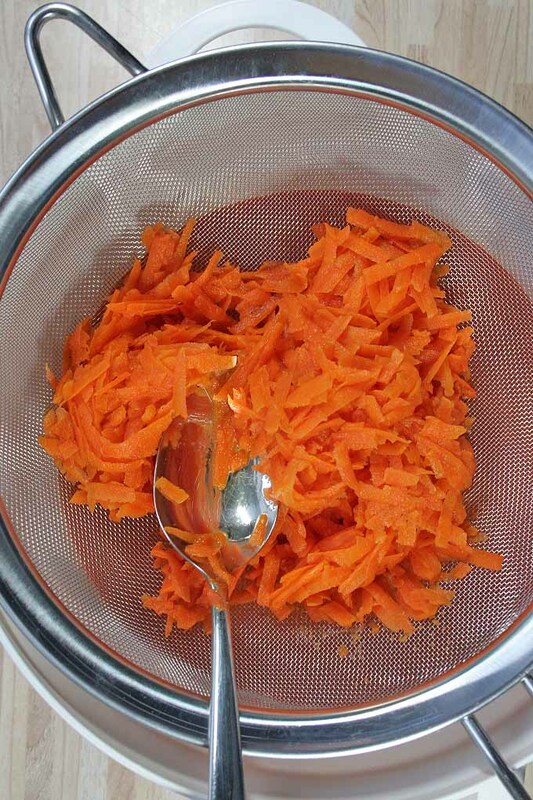 Drain the carrots through a sieve and collect the juice in a large bowl. 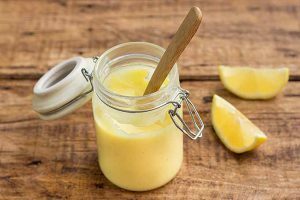 Gently warm reheat the juice in a saucepan on the stove, then pour into a heat-safe mixing bowl. Dissolve the yeast and sourdough starter in the juice. Mix in the soaked seeds, both types of flour, and the remaining 2 teaspoons of salt. Knead everything together thoroughly. If you own a stand mixer, knead for approximately 4 minutes on a slow speed with a dough hook, then continue kneading on a higher speed for 6 more minutes. Gently fold the carrots into the mixture, and the nuts if you are using them. Cover with a clean kitchen towel and let the dough rise for 20 minutes at room temperature. Grease two loaf pans or line them with parchment paper. Divide the dough in half, and place it in the pans. Cover with a towel and let the dough rise again for 20 minutes. Preheat the oven to 450°F (230°C). Quickly slide both pans onto the middle rack of the oven and turn the temperature down to 425°F (210°C). Bake for 40-45 minutes, until golden brown, and a toothpick inserted in the center of each loaf comes out clean. 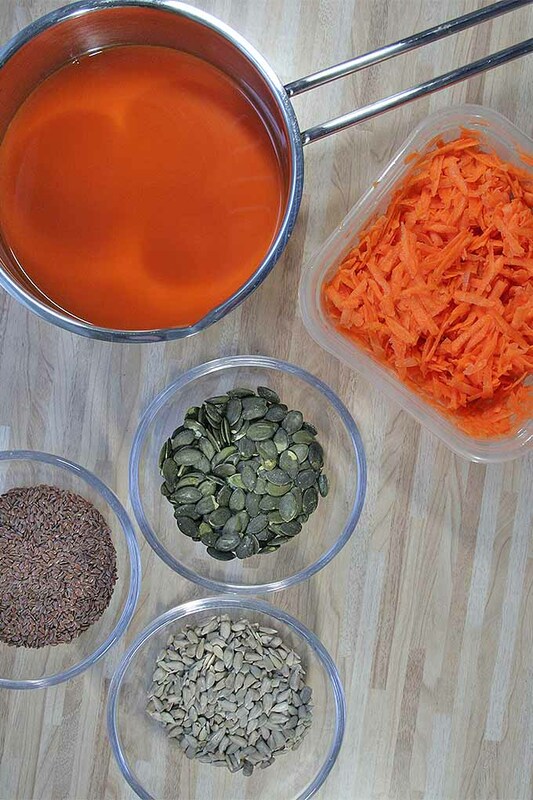 Combine the three different kinds of seeds in a bowl. Heat up the water and pour it over the seeds. Leave the mixture to soak for 2 hours until all of the water is absorbed. Peel and coarsely grate the carrots, using a box grater or the shredding disc of your food processor. Place the carrot juice in a saucepan. Add the sugar, season with salt and pepper, and bring to a boil. Remove from the stove and add the shredded carrots. Return to a boil, then remove from the stove and leave to infuse for 2 hours. After infusing, drain the carrots and collect the juice, by pouring the mixture through a colander into a large mixing bowl. Pour the juice back into your saucepan and gently warm it up again on low heat. Add the fresh yeast and sourdough starter, and stir until no lumps are left. 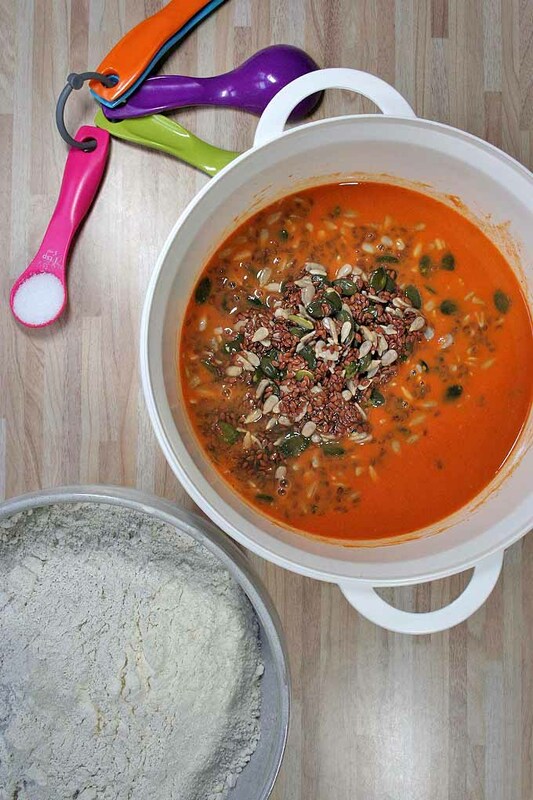 Add the soaked seeds, flour, and salt to the carrot juice mixture. Knead together thoroughly by hand or with a stand mixer with dough hook attachment, first for about 4 minutes on stir or a low speed, then for about six more minutes on a higher speed. Gently fold in the carrots, and nuts if you are using them. Then cover the dough with a clean kitchen towel and leave it to rise for 20 minutes at room temperature. Grease two loaf pans or line them with parchment paper. Divide the dough into equal halves, and put each half into a pan. I like to use a bench scraper to make an even cut down the middle. Cover with a kitchen towel and leave to rise for 20 more minutes. While you’re waiting for the dough to rise for the second time, preheat the oven to 450°F. Place both pans on the middle rack of your oven, close the door quickly, and turn the temperature down to 425°F. Bake for 40-45 minutes or until golden brown and crispy on top. Once your bread has cooled, you can slice it as you go with a good quality bread knife. Don’t slice it all at once, or it may dry out and become stale. As you can see, this loaf is a splendid recipe in many regards. It’s ideally suited for your Easter celebration, with a fresh and lightly sweet touch of spring, thanks to the carrots. 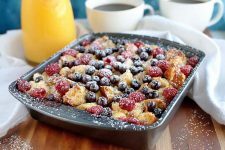 It can be a wonderful companion to your holiday meal, whether it’s breakfast or dinner, sweet or savory. But it’s easy to prep, and perfect for everyday meals and snacks as well. 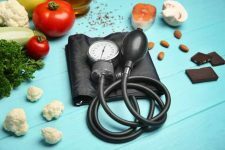 It also supplies you with a generous portion of beneficial nutrients and trace minerals. 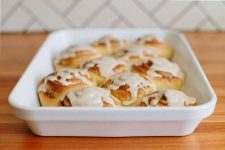 So grab your oven mitts and make the kitchen your next stop! 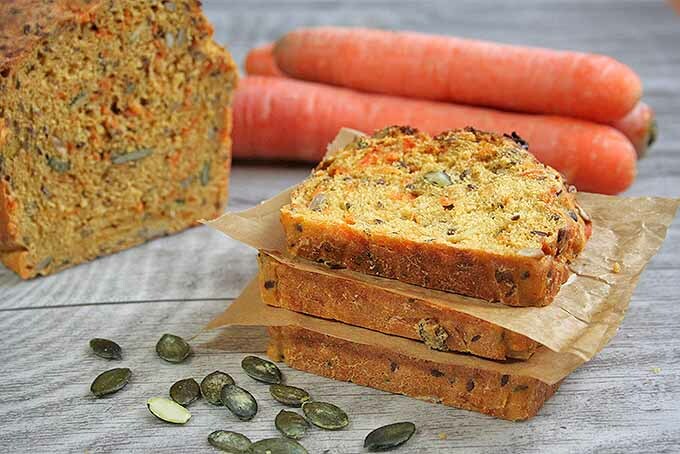 It’s time to enjoy this delicious carrot bread. Don’t forget to share your favorite way of serving it with us in the comments! And for an even healthier option, try grinding your own flour at home. Get started with our Complete Guide to Countertop Grain Mills, and read this handy resource for helpful information about purchasing whole grains. Carrot cake I’ve heard of, but this is the first time I’ve seen carrot bread. It looks yummy too! Can you make it in bulk and store it in the fridge or freezer? Sure, you can keep it in the fridge for a few days and you can also freeze it. I like to slice it before and put some parchment paper between them. So I can take out and thaw just the amount of slices I want to. Besides, it tastes great when toasted too. I was just thinking that this would make great toast. I enjoy toasting homemade bread, not only because then you can always have it warm, but also fro the crispness. This sounds like a really good recipe, and since I’m trying to eat healthier, I’m very interested in trying it. My daughter is so good about only letter her little one have healthy stuff, so this is yet another page from this site that I will have to share with her. This sounds exactly like something she would love to make. 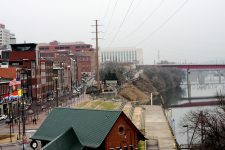 That looks amazing it really does. I thought it was a nut loaf at first! That’s a compliment just to be clear, I love nut loaves when they are really moist. I even set a sourdough starter doing this morning, so should be able to make it sometimes after Easter hopefully. Can I ask flcarrot juice? Is it a particular type of carrot juice (I’m not familiar with carrot juice, I just eat the carrot raw normally) or is it a typo? Actually, I mean no particular type. You know, here in Germany you can buy it as a kind of vegetable juice in supermarkets. If you can’t get a similar drink, you might have a try with orange juice as its taste goes well with carrots too I think (although the bread might become a bit sweeter then). That looks like a great alternative to fruit loaf and would be fantastic for anyone trying to include more seeds in their diet – they can get a bit monotonous eaten by themselves. 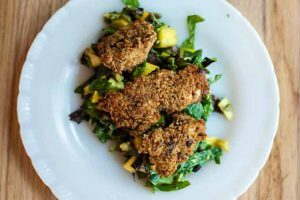 Great recipe and full of very healthy ingredients. I will definitely try it as it’s also vegan and look as if it can be used toasted for dips and also with salads. I’ll probably adapt it a little and add some sesame seeds too. Sesame seeds are a great idea to include too. They go really well with carrots. I just have the idea that one could also cut the bread into cubes, roast them with olive oil and make some croutons for salads maybe.. 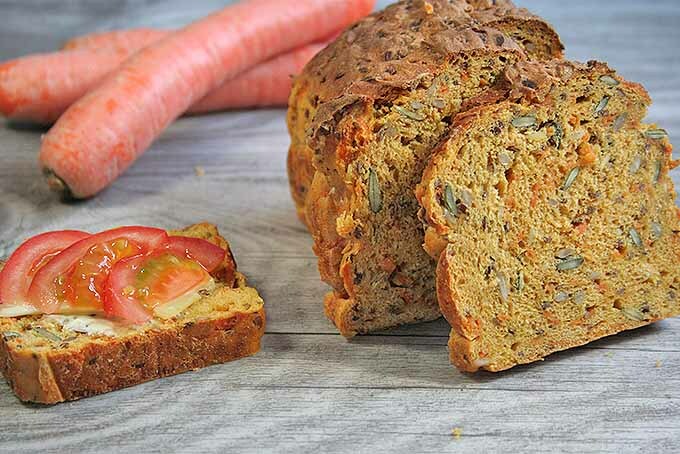 Carrot bread is one of those treats we only have once or twice a year. I usually use a box mix. This one looks good, though. I think next time were in the mood for it, I’m goin to give this recipe a try.thank you for the recipe!! I make something really similar to this in a muffin form. All the ingredients are basically the same except I add pears for a touch of sweetness & opt for traditional flour without the sourdough starter. It’s quite good & I’ve found I don’t miss the sugar I normally would use. I think I’ll call them ‘bruffins’. My bread muffins. I am definitely going to try that out. Thank you for your “bruffin” idea, that’s a great name for it! I like the muffin-size because they are perfect as a snack or to bring along. Scrumptious, this looks super healthy and super delicious! I love anything crunchy and substantive in my bread, so adding the seeds is perfect! I think I’ll tweak the recipe a bit and also sprinkle in some walnuts. My entire family really likes all sorts of nuts, so this would be perfect for them. 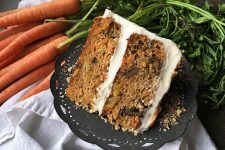 I regularly make walnut bread and sometimes banana bread for them, and they seem to enjoy carrot cake, so this carrot bread is something new that I’m sure they’ll enjoy. For some reason, I absolutely hate eating any type of seed directly (and even some types of nuts), but I love them when they’re incorporated into something, like cookies or cakes (or bread!). So this bread would be perfect. Hopefully, the bread texture will be very moist; I can’t stand hard, dry bread. It’s a good thing that the water in the soaked seeds and the carrots will help soften the bread. 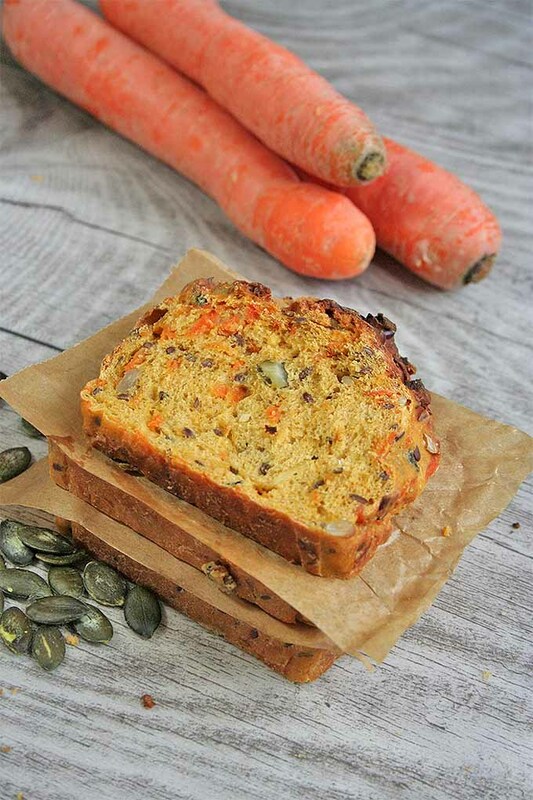 I’ve never really tasted carrot bread before, but I do love snacking on fresh baby carrots, so this is worth a try. Yum! Thanks for sharing. I’m impressed by this recipe’s ‘multigrain-ness’. It looks pretty good and maybe even delicious. I do have a soft spot for anything multigrain. It’s certainly a healthier alternative than other more known breads out there. It’s so hard to find recipes for healthy Easter dishes that actually taste good. This bread looks good. I’m definitely going to try it. I like the carrot theme that can be worked into Easter. A great way to get kids to eat vegetables and whole grains as well. I love how rustic and wholesome this looks. I’ve always enjoyed a variety of fruits, nuts, seeds, and vegetables, and this sounds really delicious. It will be a project for me to make, since I don’t keep many of these ingredients on hand, but it sounds perfect for when the weather cools a bit and I’m looking for an indoor project and a kickstart for my hearty Fall dishes. This bread looks delicious and sounds very healthy! I bet adding the carrot juice helps keep the bread nice and moist. 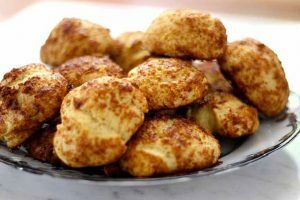 I have celiac disease, so I would love to experiment with the recipe and try to make it gluten free. Has anyone tried making this bread gluten free? Are you sure this bread is as tasty as you claim? I am not a lover of veges and this just raises my eyebrows. Anyway, i’ll still have to try it out. Maybe it will be an exception. I think the carrots are a nice addition for this bread as they are for carrot cake. And with the seeds, you’ve got something “to bite”. If you should ever try it, I wish you good luck and success – and hope that you like it! This is great, I was just looking for healthy snacks! I am constantly snacking and I always bring tons of snacks with me wherever I go so I need to find more clean ones. I love carrot bread, but usually the ones I make have way too much sugar and make me feel sick after I overeat. I will definitely be making this as soon as I can! I hope you’ll like it, too. It is one perfect alternative and a really great snack. I love the texture with all the different seeds and the rasped carrots in between. So I’m sure you’ll enjoy it, as well, and can have a better feeling after eating. Sounds great to make a sandwich with this bread. I would like to have one right away! It adds a new flavor and works great with savory spreads, too. I hope you did have the time to try it and surprise your husband. Did everything work out and did he like it? 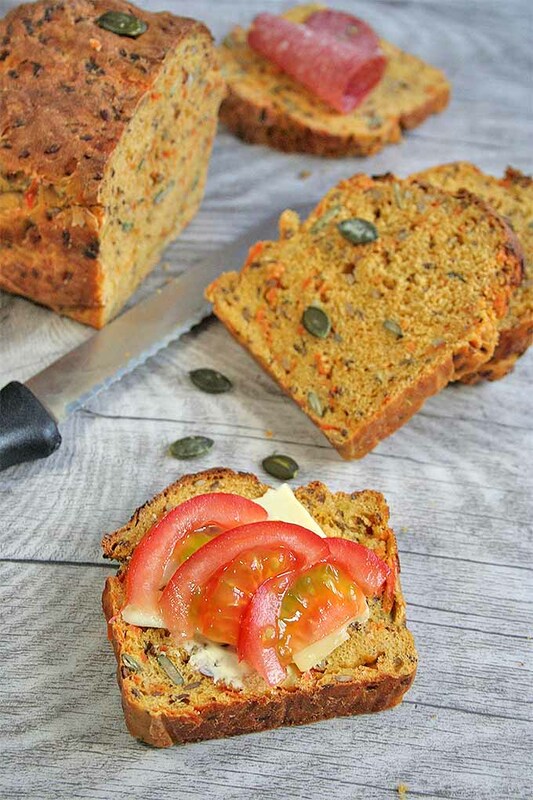 This looks like it would be great to send to work with my boyfriend for lunch, I’m always looking for new recipes that travel well and are convenient to snack on, and quick breads with lots of seeds and nuts are so yummy 🙂 I like that it makes two loaves too, it’s always nice to have something homemade to bring with you when you go visiting! Two loaves are practical, I agree with you. It’s like you say, you either have some nice homemade present or you can make your own supply and freeze one of them. I have seen carrot cake and muffins but now as a loaf? My mom is going to love something like this. She is a huge carrot cake fan so I could see her making something like this for breakfast. Everyday someone is coming up with more creative ideas on how to use carrots. It’s more than just a vegetable, it gets to be a sweet treat too. Wonderful – and having this for breakfast is a great idea. I agree with you that carrots are really versatile and combine different flavors. I enjoy their sweetness when I’m trying to prevent myself from snacking candy. 😉 Plus, I really love that they can be used for sweet and savory dishes, too. 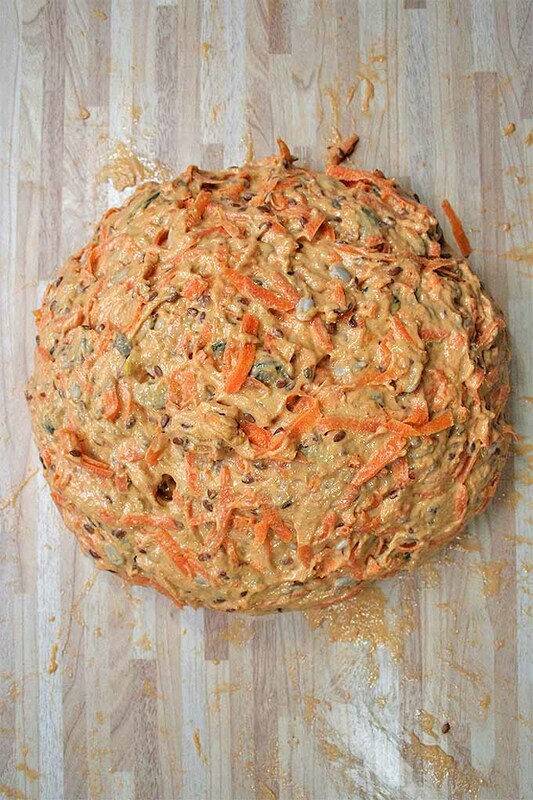 I saw the picture of the carrot bread and had to click on article to find out how to make it. It simply looks and sounds absolutely incredible!! Thanks, it is a wonderful alternative to regular white, but also wholemeal bread. The seeds, grains and carrots work great together, it’s worth a try. 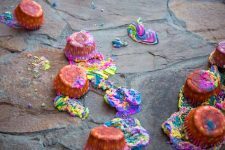 If you should, have fun baking it and enjoy its delicious flavor. Carrot bread is a really good treat. I wonder if I would still enjoy it with all these grains added though. I have the impression that carrot bread/cake is a popular (more sweet) treat, right? The only similar thing I know here in Germany is a carrot cake variety we have around Easter, called Rueblikuchen. This bread looks hearty and delicious. I am trying to get my husband to eat more bran and whole grains. He is very stubborn when it comes to this but I will not give up. He is a huge bread person and I think this would be a bread he would like to try since he loves carrots. This looks fantastic, I will definitely be giving it a try! I often make carrot cake at home, but that is loaded with sugar and often topped with a dollop of buttercream icing. 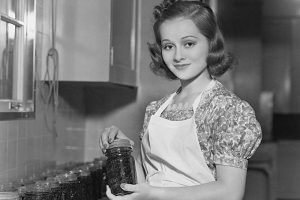 Regarding the addition of pepper: does that come through very strongly, and if so does it impact the capacity to top the bread with sweet things like honey and jam? I would be tempted to either replace or supplement the pepper with cinnamon and maybe some clove , to give a kick but that matches with sweet accompaniments. Do you think that would work? 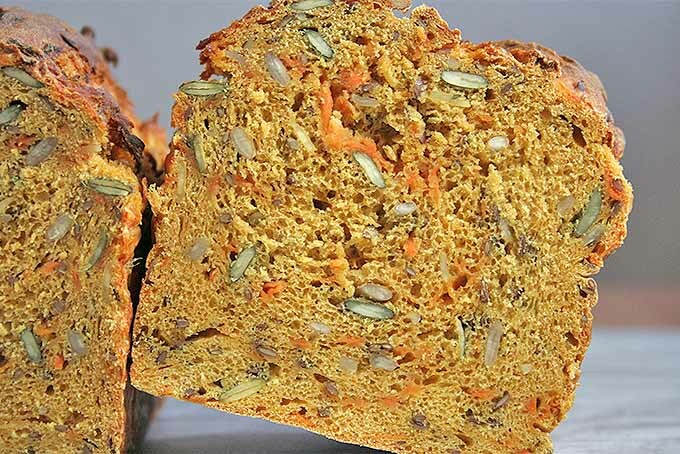 Great, I’m sure you’ll enjoy this version of carrot bread! The pepper is not obligatory, however it is only a pinch that’s added, but if you rather prefer doing the recipe without it at all, that’s no problem. 🙂 I can imagine that some cinnamon works great here, good idea, especially with sweet spreads. I love to combine it with honey, just like you say. I’ve had a recipe for carrot cake for a long time now, and I love it. I will have to try baking my own bread soon, since it sounds delightful. I have to take into account my teeth however, as they are very close together and I often get seeds stuck between them. I wonder if this recipe works as well with ground seeds? I could put them into a pepper mill and grind them up that way. Great to hear that you want to start baking your own bread. I can only recommend this, because it really pays off. I think you can grind the seeds if this works better for you. The pepper mill is a good idea, and I hope that it helps you to enjoy this tasty bread! 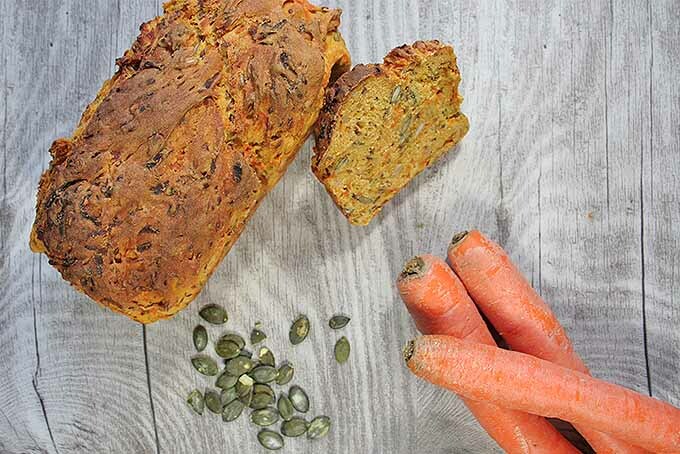 This looks amazing – and from a vegetarian perspective I love that this loaf will contain so many Omega 3’s with all of those seeds, flax and linseed are probably the healthiest sources out there – apart from algae-derived supplements which are not quite so tasty in baking! 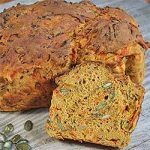 This is a complete winner, thank you for sharing this super healthy alternative to standard bread. 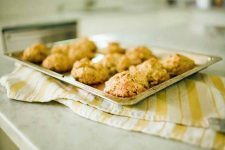 I am so thrilled to have found this recipe! After living in the Stuttgart, Germany area for over 15 years, I have missed and “craved” this bread. It is a staple made fresh daily. Whether having it with fresh fig or date compote and goat cheese or taziki and lox, this bread was our “daily” bread. 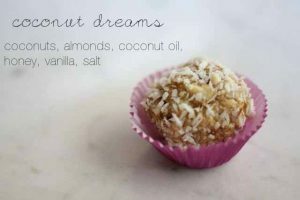 Thank you for sharing this recipe … I’m off to the kitchen to make some … Mmmmmm! Yum, these serving suggestions sound incredible Dena. Enjoy!